▪Fellow ℃-ute member Suzuki Airi posted this 2-shot of herself and Maimi from their “Big Comic Spirits” photoshoot in her update today on the official ℃-ute blog. ▪Fellow ℃-ute member Nakajima Saki wrote in her update on the official ℃-ute blog today that she was on location filming for the program “Hello! 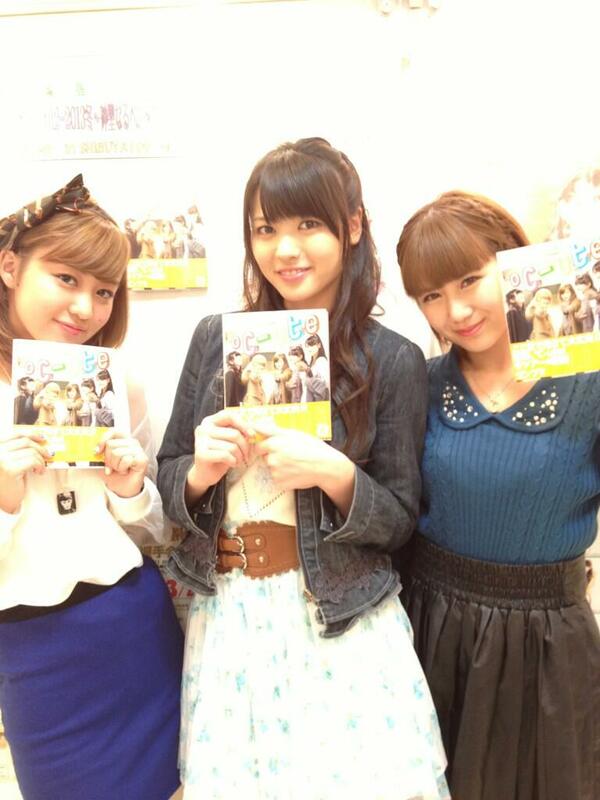 SATOYAMA Life” along with Maimi and Morning Musume’s Iikubo Haruna, and shared this 3-shot of the group. 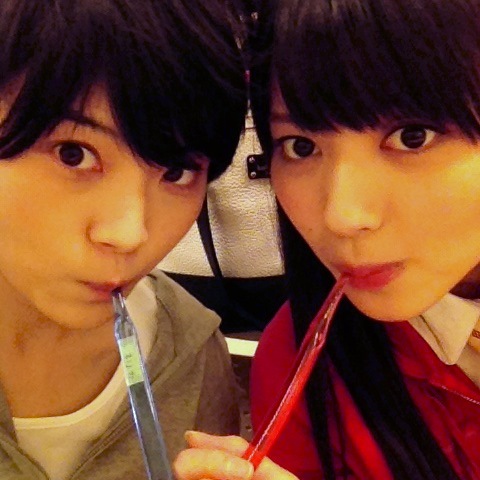 ▪Maimi’s “Sakura no Hanataba” costar Fukunaga Marika updated her official blog with a couple of 2-shots with Maimi and reflected on their time together on the play. Marika wrote how Maimi’s diligence and postive attitude inspired her, and that she wouldn’t have been able to do the play with anyone else. ▪The “UTB” Twitter account tweeted these pictures from today’s photobook handshake event. In the second picture, Maimi is showing her favorite picture in the photobook, one she took of Nacky and Airi on the bullet train which Hagiwara Mai happened to sneak into. 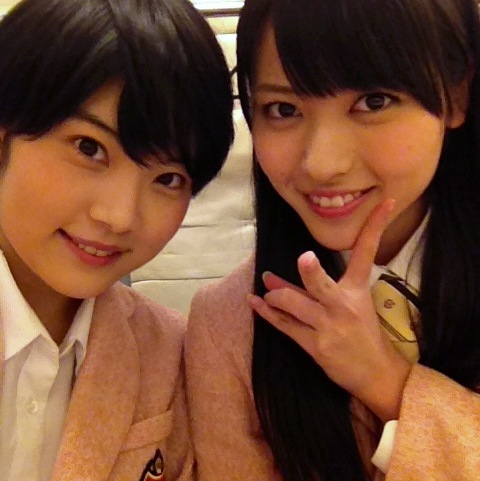 Posted on March 26, 2013, in Articles and tagged Nakajima Saki, Suzuki Airi, Yajima Maimi. Bookmark the permalink. Leave a comment.